Identify the problem: Most patients come in experiencing discomfort focused in a specific area. The problem is that could be caused by one or multiple problems. We will identify the root of the problem, what is causing you discomfort and get to work in treating it. Best course of action to take:Once the problem has been diagnosed, we will then begin treating the issue with the best options available. While we incorporate the latest tools in the industry, we do not offer anything unless it meets our requirements for quality. Improve oral hygiene: Once you have had the matter resolved the work doesn’t stop. We also want to teach you proper oral hygiene practices that you can incorporate at home including brushing and flossing techniques, the best mouthwash to use and more. Another reason you should see a gum treatment dentist is because of the long-term impacts neglecting your oral health can have. As you get older, the chances of your gums needing more attention will go up if they haven’t been properly taken care of. However, if you work with a dental gum treatment specialist, they can show you the importance of using the right products, how to use them, ways to improve the health of your mouth and more. This will save you time, money and a lot of frustration over the years and allow you the chance to keep or improve your beautiful smile. 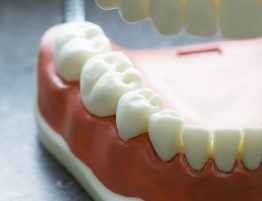 The gums are often overlooked because people always think they are connected to the teeth as far as treating them. When you brush your teeth, you are actually only helping your teeth. 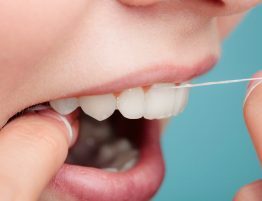 It’s things like flossing, brushing the actual tissue and using mouthwash that can directly impact that area of the mouth and keep it healthy and fresh. Giving your mouth more dental gum treatment is important and can improve other areas of your health and even your confidence as well. Among the many services Dr. Dison and her team offer as a leading gum treatment dentist, it is providing reliable service and counseling for DIY at home methods of oral care that are of the most important to her. Her hope is that her patients are practicing smart, routine and healthy habits each day that improve their oral care. If you would like to learn more about these habits and what you can do, contact us today to schedule an appointment in our Miami office. 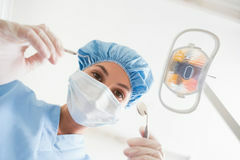 The key thing to remember with dental gum treatment is that you do not want to wait to make changes and see a dentist. Your mouth needs to be taken care of and whether it’s from neglect, trauma or something else, you need to treat your mouth to help it to heal. Before you rush to a blog or forum site that offers information about what to do, you need to meet with a dentist who can look at the situation, find the cause of the problem and how to best treat it. 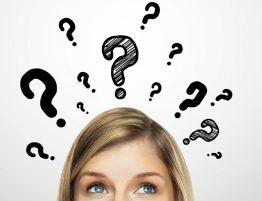 Something you read online or a product you try to use without consulting a dentist may not help or it may even make the problem worse. Your oral health needs to be a priority every day. Whether it’s using a toothpick or floss pick after you eat lunch, keeping a small bottle of mouthwash in your desk at work or something else, anything you can do to add to your routine and keep your teeth and gums clean is ideal. We will show you different things you can do and different products you can use that will help you accomplish this goal. Dr. Dison dental gum treatment options are essential for anyone who is battling gum disease or other ailments and needs fast and effective results. We would like to begin with a consultation in our Miami office and show you things that we, and you could be doing to improve your situation and get your oral health back to where it should be. Dr. Dison is the leading Miami gum treatment dentist. Her years of training in this area along with extensive experiencing handling these types of cases has allowed her to help hundreds of patients with any number of ailments. Our goal is to provide you with an elite level of service while also making sure that your oral health improves for years to come. Schedule an appointment today to meet with the doctor and find out more.